Arnaldo Pomodoro personal and public gallery, studio and archive. The Foundation allows for the use of the space as a studio/workshop for the artist. Also similar to the goals of the Ferrari Contemporary Arts Center is that the Foundation is both a place of creation and exhibition for invited artists and a research archive. What is different is that the Ferrari Contemporary Arts Center will also serve the surrounding neighborhood, which is a key element of the Arts Center vision. Several other precedent gallery/studios exist such as Mark Bradford’s studio and gallery that provides educational programming and archiving in Los Angeles. The proposed expansion of the Dbal’s Mbad African Bead Museum Expansion in Detroit which will provide programming, exhibition space, community gathering and house their African Art collection. An international center for the study and interpretation of Noguchi’s work, the Museum is dedicated to illuminating the artist’s vision, his experience with sculpture and public spaces, and the legacy of his work on later artists. The Museum offers programs that engages the community and bring arts initiatives to New York City’s public schools. While the museum is less of a workshop and studio, similar to the Ferrari CAC the Museum thrives as an important destination, is tied to a University and has an outdoor sculpture garden. The Arts Incubator is a space for artist residencies, arts educations, community-based arts projects, as well as exhibitions, performances and talks. It is envisioned that the Ferrari CAC could also be University supported and a place for community to gather. The Ferrari CAC would additionally provide an archive/research area, more exhibition space and production workshops. The proposed Green Line Arts Center will be an interdisciplinary hub for music, dance, theater and film production, and will serve as a platform for artists from the South Side and beyond. Brancusi’s studio was recreated at the Pompidou Center in Paris. The studio showcases a range of his work from his sculptures to photographs. Located within a major museum setting the museum is more a place of observation than activity. 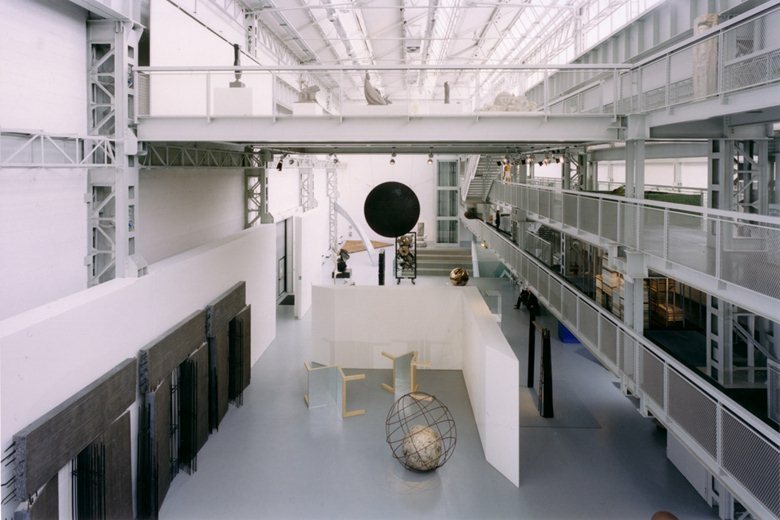 Virginio Ferrari’s 1985 Retrospective Exhibit at the Paris Arts Center was located in the original Brancusi studio. The use of light and the physical space of the original studio would be an ideal work area for the Ferrari CAC. After a 1997 renovation, P.S. 1’s renovation preserved much of the original architecture as well as most of its unique classroom-sized galleries. Affiliated with MoMA, one of the institution’s programs invites young architects to inhabit the courtyard with innovative and new ideas. The Ferrari Arts Center would be a more intimate, smaller group of employees and volunteers but is also looking at ideas of reusing a currently abandoned building. The Ferrari CAC would be a more active and lived in space as opposed to the museum like quality of the Judd Foundation. The Judd Foundation bridges two spaces in New York City and Marfa, Texas. The Ferrari CACA would work similarly bridging Chicago and Virginio’s studio in Guardistallo, Italy.